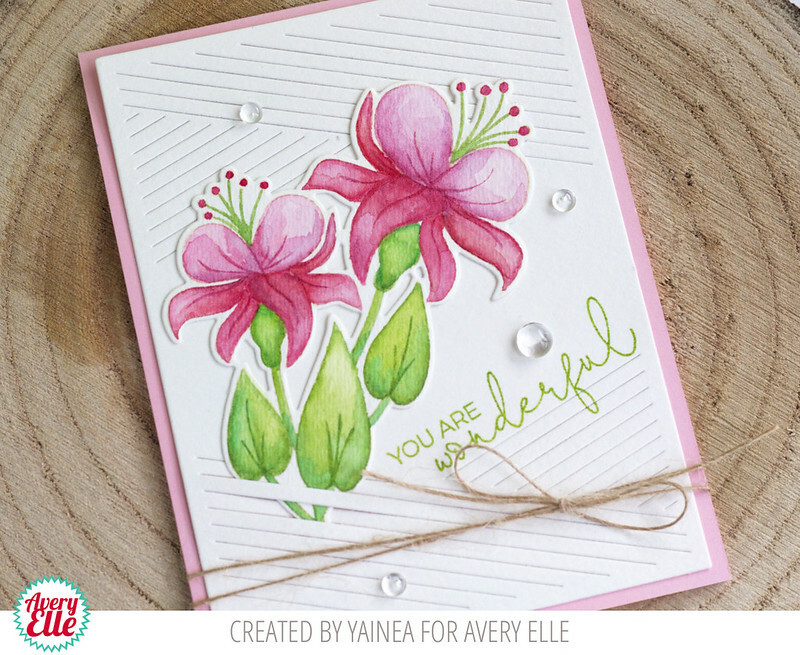 Avery Elle: A Gorgeous Card By Yainea! 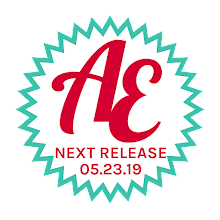 To color the flowers I first stamped them using a very soft dye ink and then I colored them using my Avery Elle liquid watercolors. Then I die cut them and adhered to a paper cut using the Hatch Mat die, stamped my sentiment and added some clear drops and a rustic cord. I love that you can use the stripes of the die to add more interest to your card, it also makes the perfect frame! 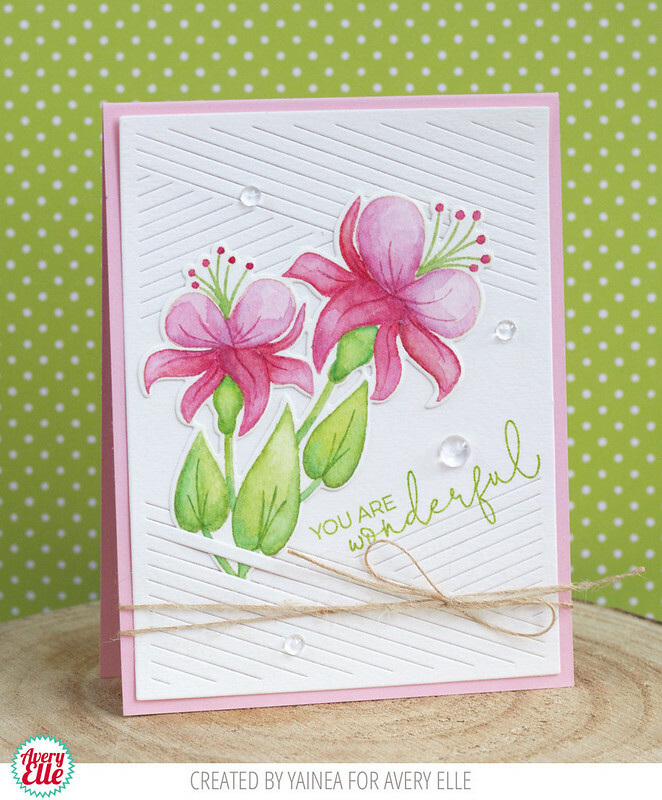 I love adding diagonal sentiments and this die makes it so easy! I hope you feel inspired to get crafty, have a nice day!! Beautiful colouring on this lovely card.